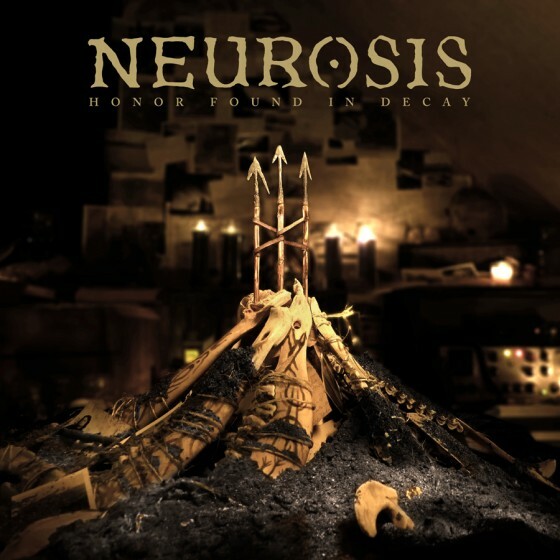 NEUROSIS continues to confirm new live actions in support of the band’s tenth studio opus, Honor Found In Decay. Following recent announcements on the outfit’s upcoming performances in Atlanta, Chicago, Los Angeles and Seattle, NEUROSIS have just proclaimed additional 2013 on-stage manifestations, with new shows in Brooklyn and Philadelphia planned for January, as well as Denver and Austin in February. Support acts for these new concerts are all being confirmed now, in addition to even more live performances. The band has also been confirmed for 2013’s installment of the massive Hellfest festival in Clisson, France. The immense gathering runs from June 21st through 23rd, and will see NEUROSIS sharing the stage with Kiss, ZZ Top, Down, Bad Religion, At The Gates, Kreator and hundreds more. A release date and further details on the anticipated vinyl edition of Honor Found In Decay have also been disclosed this week. This deluxe 2xLP pressing of the album will be unleashed February 5th in North America, February 8th in Germany/Benelux/Finland and February 11th in the UK/World, via Relapse Records/Neurot Recordings, and will be packaged in a gorgeous Stoughton tip-on gatefold jacket and accompanied by a stunning 16-page LP-sized booklet. The audio was cut directly from the original studio master tapes and pressed on 180-gram vinyl, which will be available in five different colors: 2000 on black, 1000 on translucent smoke grey, 500 on translucent yellow, 500 on translucent orange, and 100 on clear, not available to the public. Preorders can be placed via Neurot and Relapse now!